It was a horse outpost and a geodesic point starting in the year 600. In 1939 Count Uguccione and Countess Lea Della Gherardesca commissioned the architect Tullio Rossi to transform it into one of their hunting and summer residence. The project undertook two phases: the first restructuring taking place in ’39, and the second in 1957. 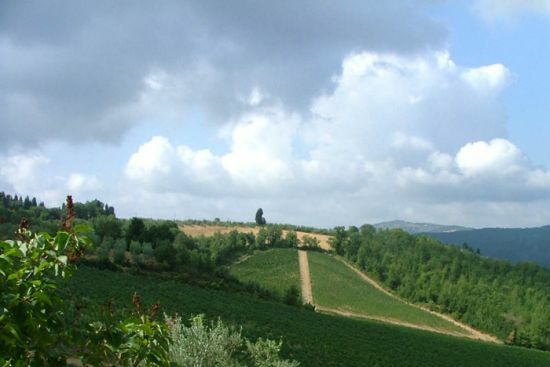 The villa is situated in the Upper Maremma along the Tuscan Coast. It is located about 100 meters from the Mediterranean Sea, surrounded by the Nature Reserve of Rimigliano, and with a private park of approx. 7 hectares. It is one of very few houses positioned directly by the sea, and is the only one that has a private cabin built on stilts directly on the beach. At only three kilometers from Greve in Chianti, the little market town knows as the capital of Chianti, the Podere Le Case is in a little hamlet called Santo Stefano 22 kilometers from Florence, made up of two adjacent centuries-old farmhouses which have been completely restored by the owners and turned into delightful apartments. Every effort has been made to preserve the original style and mood of a traditional Tuscan country house without depriving guests of every modern convenience from central heating to satellite television and hi.fi and safe. The sofas and armchairs are comfortable and capacious, the dining room tables inside and out are designed for large families and their guests in spacious dining rooms, while the bedrooms are cosy and inviting with Provencal cottons and four poster beds, each with their own bathroom and some with their own little sitting room/boudoir. The swimming pool, 15 meters by 6, is close to the houses and surrounded by olive trees and is equipped with its own dressing room and bathroom. The Ugolino Golf Courses is only 13 km away. 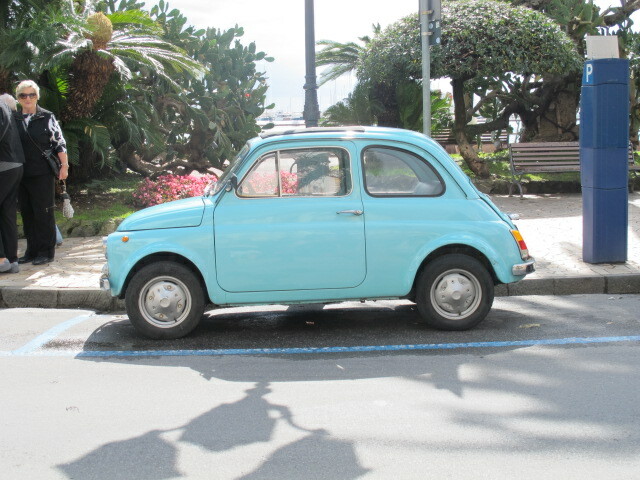 We have a baby blue Fiat 500. It is the new model, not the absolutely gorgeous old one. 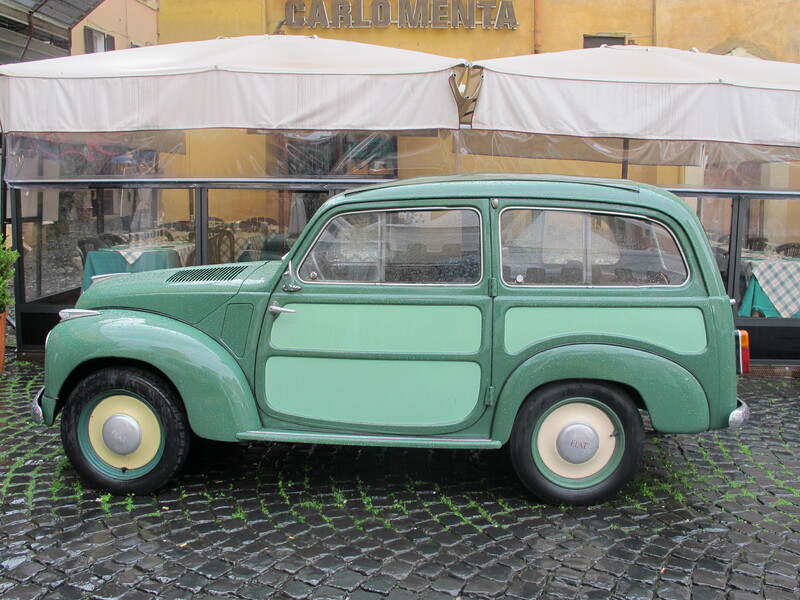 We still see quite a few of the original Bambinos scooting around Italy. I love them. 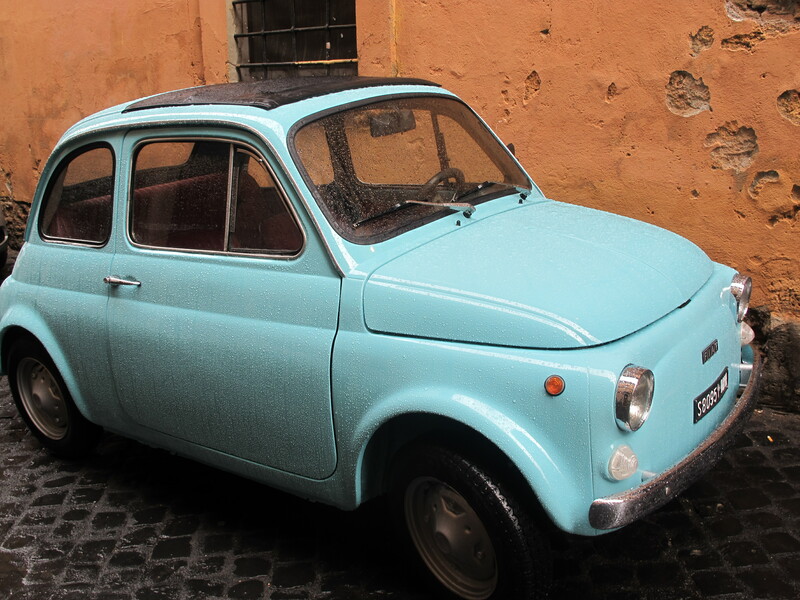 This little blue one was standing in the rain in Trastevere, Rome. It looks good from any angle. Just around the corner I spotted this cute van. It is very well cared for. 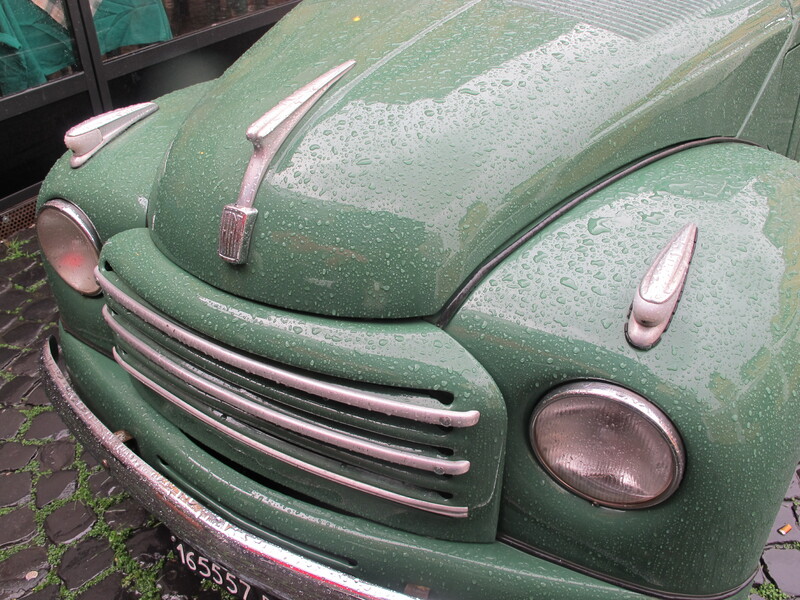 This little baby was hanging around in Florence. 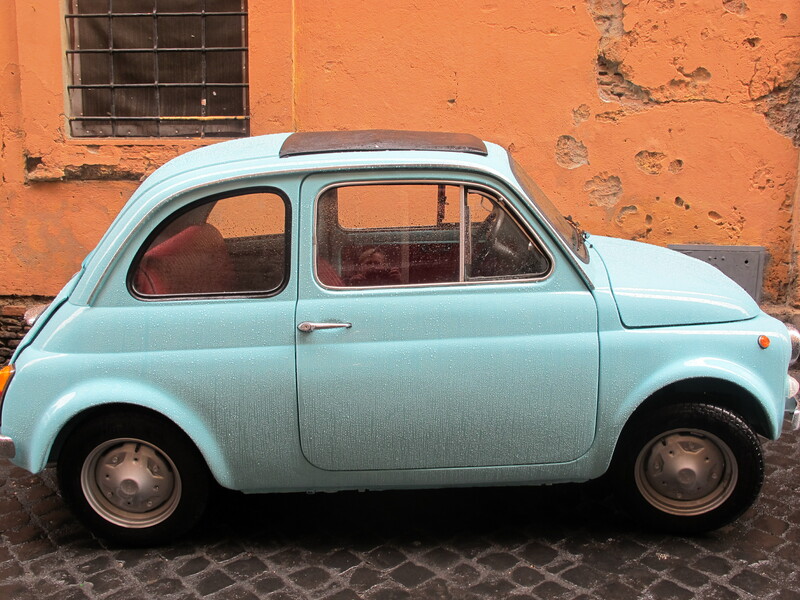 Fiats get around. 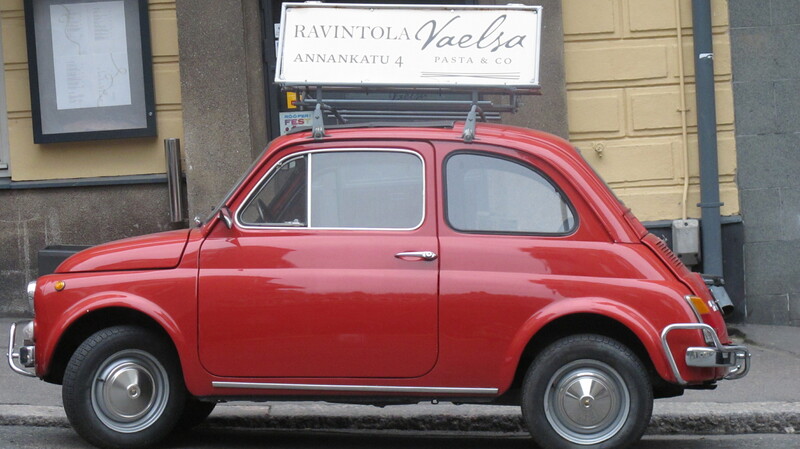 This one was advertising a restaurant in Helsinki. On holidays by the sea in Rapallo. Bagni di Lucca has a few. 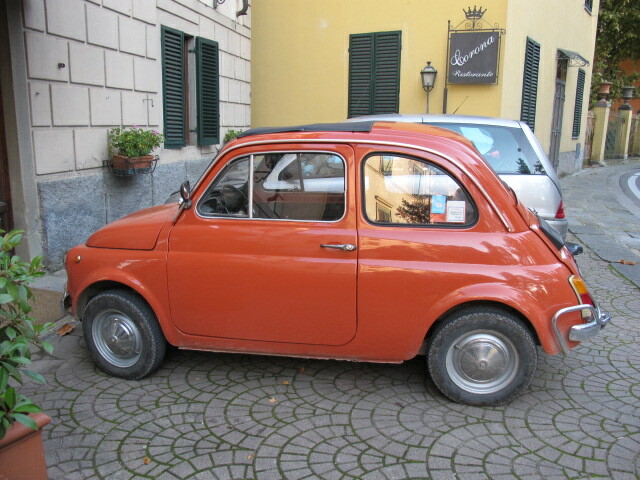 As well as this orange one there is a gorgeous chartreuse one scooting around. If I ever find it standing still I will photograph it. You can see how small they are!! 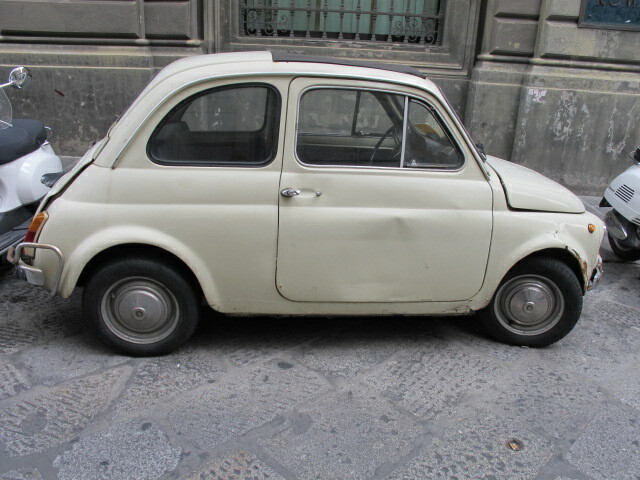 Jim is standing beside this Fiat in Bologna. 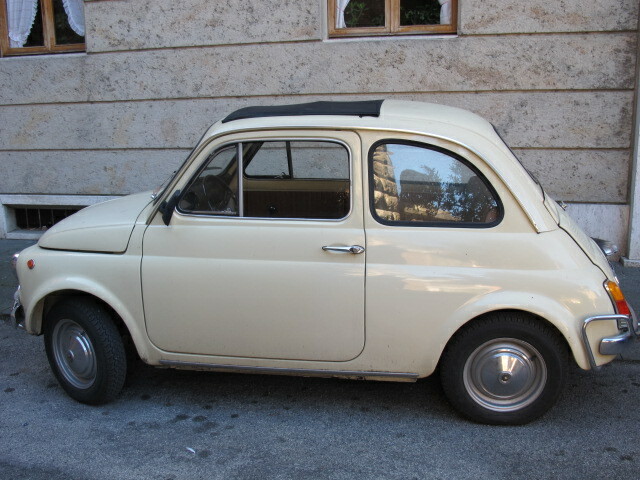 Our Fiat lives in Brisbane. 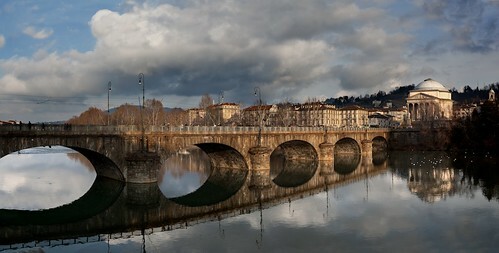 Turin has been declared Italy’s most environmentally sustainable city. The northern metropolis came top of a ranking compiled by the Euromobility association ahead of Venice in second place and Milan in third. The capital Rome came 20th out of the 50 cities surveyed by Euromobility, while the southern cities of Campobasso and Foggia came bottom. Turin prevailed thanks to its good public-transport system, its bike-sharing and car-sharing schemes and the city’s high number of low-environmental-impact vehicles, thanks in part to public incentives to use cars powered by natural gas rather than petrol. 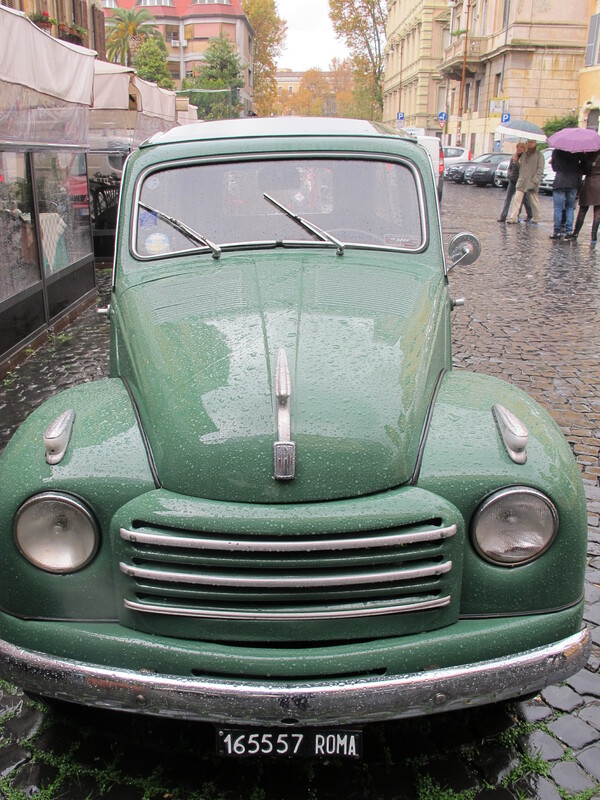 Euromobility’s Scientific Director Lorenzo Bertuccio said that Italy on the whole was making progress in adopting greener transport systems. ”Steps forward are being made on the road of environmentally friendly transport,” Bertuccio said. ”Over the last year there has been a big increase in the use of bike sharing and in the number of methane and liquid propane gas cars”.